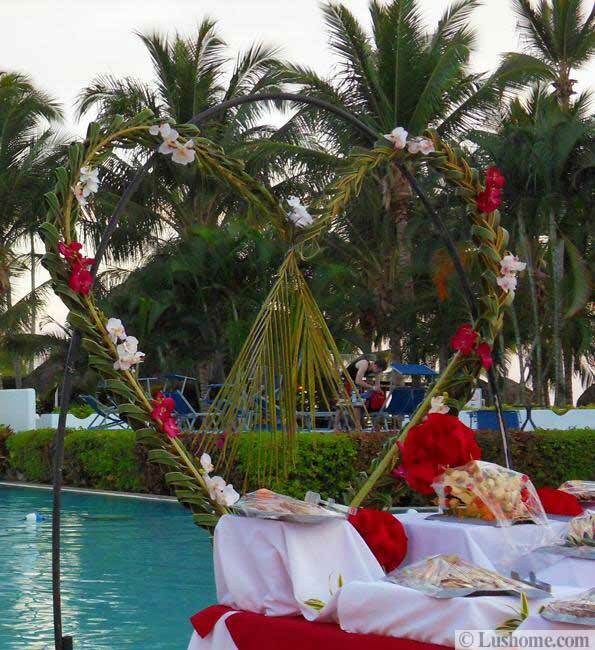 Fresh flower arrangements and hearts decorations are traditional and romantic Valentines Day ideas which create gorgeous, blooming, and warm holiday decor. 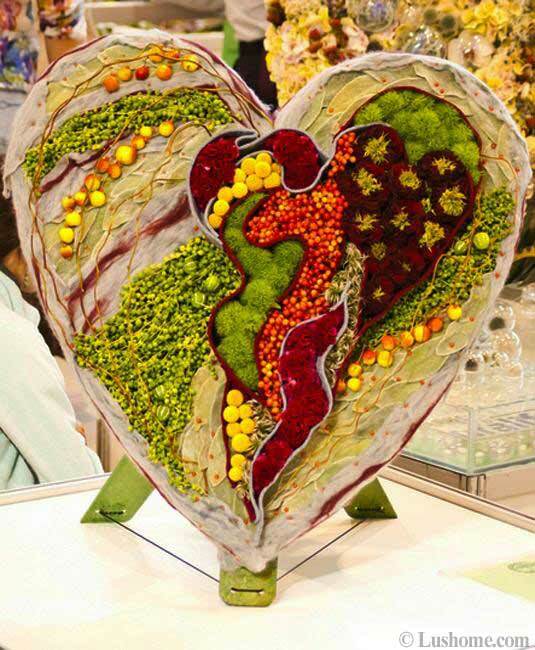 Hearts decorations make unique gifts also, but hearts, designed with fresh flowers, look adorable and original, bringing love and romance into life, and offering spectacular, bright, and fragrant centerpieces for holiday decor and romantic events. 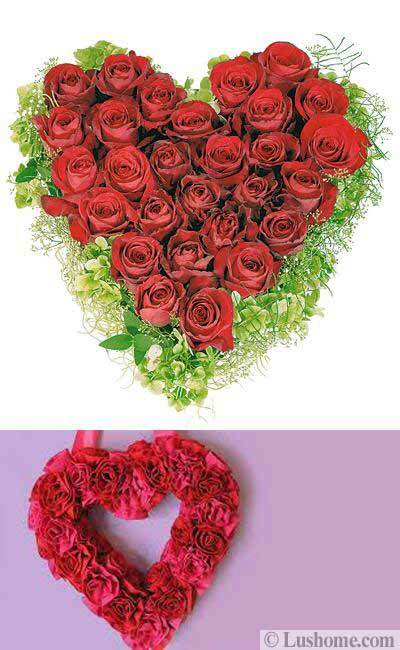 You can decorate your heart-shaped floral arrangement with clear glass Christmas balls, pink and purple beads, ribbons, red berries, gentle butterflies decorations, dried and fresh fruits, nuts, stars or paper hearts to make a stunning presentation of your unique and very special gift on Valentine’s Day. 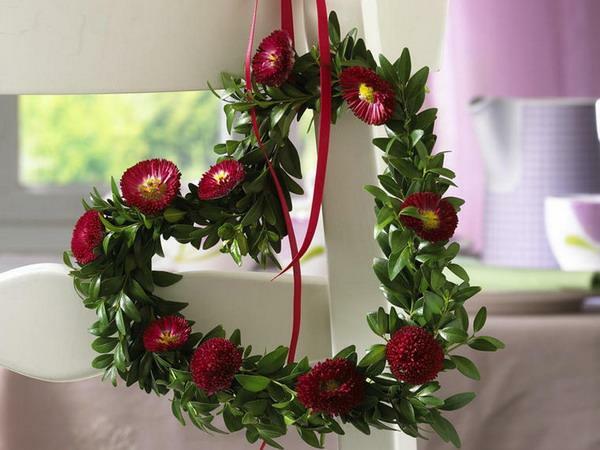 Hearts decorations, red, pink, and purple colors, and fresh flowers can turn an ordinary wreath into an original and fabulous accent for special events or Valentines Day decorating. 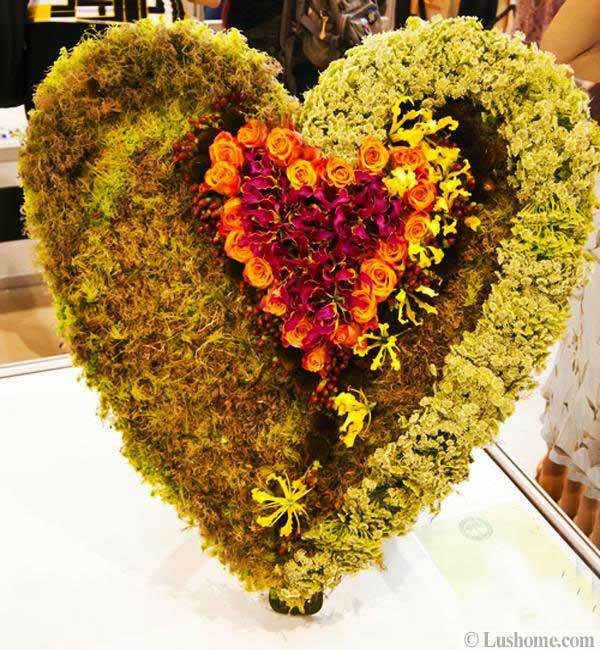 Lushome unveils a collection of heart-shaped, inspiring, beautiful flower arrangements to encourage the readers to make unique hearts decorations and gifts for their special events. 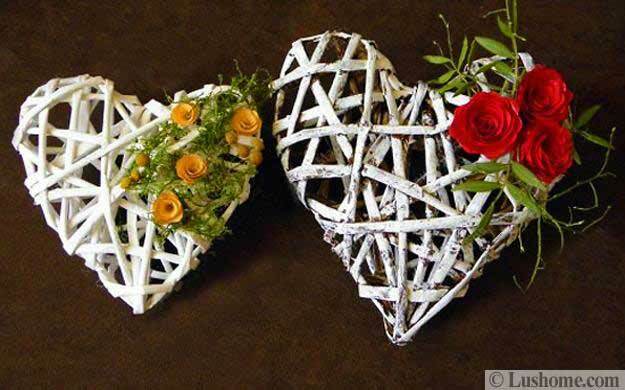 Fresh flowers and hearts say Love and Romance louder and clearer than anything else while keeping the gifts and centerpieces look elegant and not too sweet. 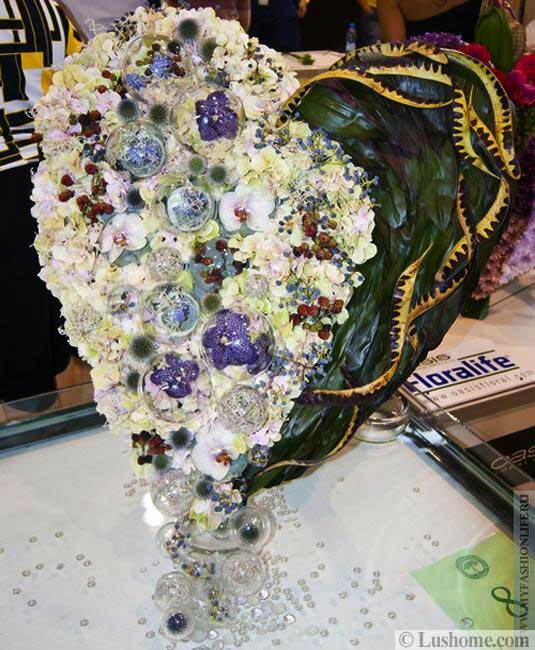 Your Valentine will be thrilled to get a very special, unique and fragrant flower arrangement designed in a heart shape. 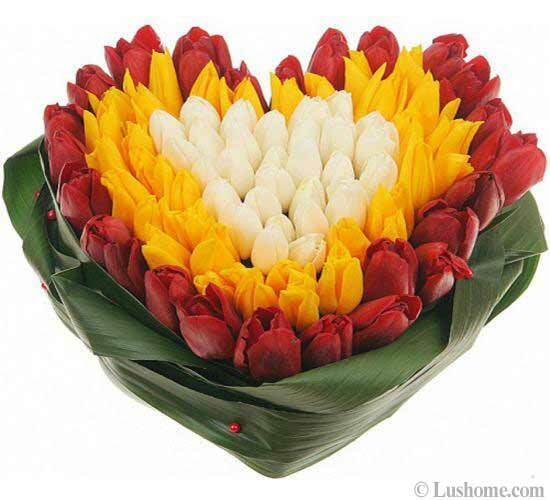 Floral arrangements are perfect as gifts for February, 14th. 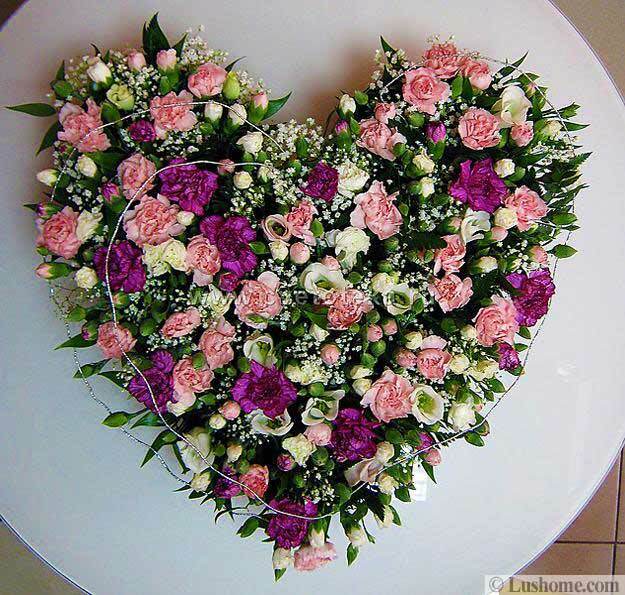 Fresh flowers arrangements in a heart shape are versatile and suitable for many special occasions, birthdays, anniversaries, and weddings also. 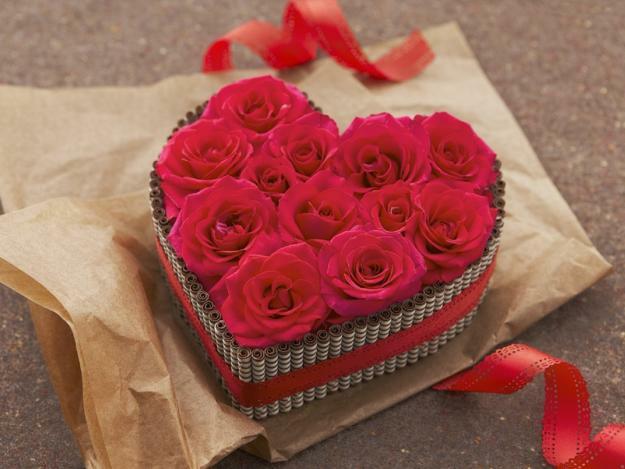 Whether you are trying to initiate a new romance, brighten up your Valentines Day celebration, or just to tell someone how much you care, a gift of flowers arranged like a heart is a perfect gift. 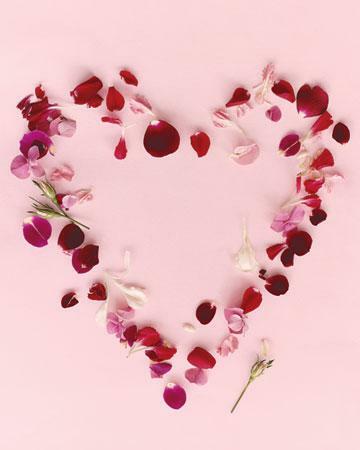 By adding your Valentines favorite flowers and writing a special message you can personalize your floral arrangement and say what you want to say in a gracious way. 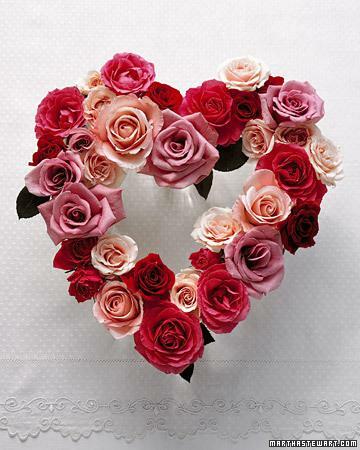 Fresh flower arrangements in heart shapes are adorable, intimate, and warm gifts. 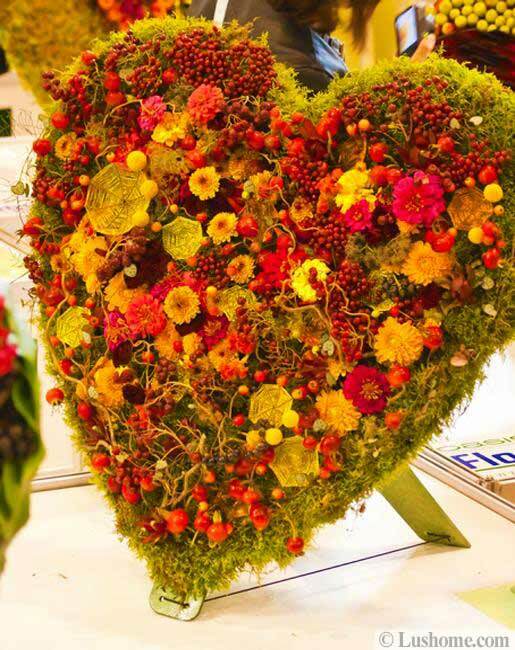 Unusual and fragrant, the eco gifts created with beautiful flowers make the most romantic holiday decorations. 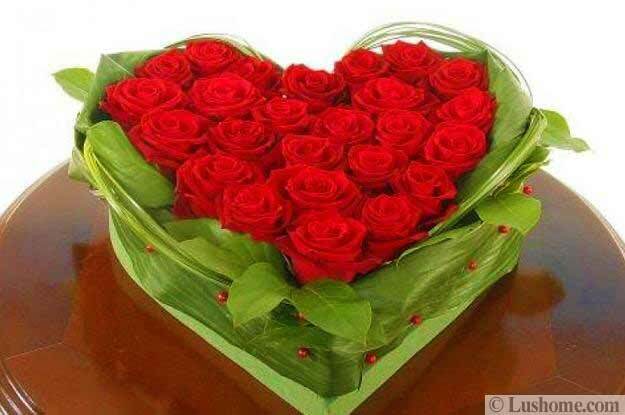 Roses are traditional symbols of love and passion. 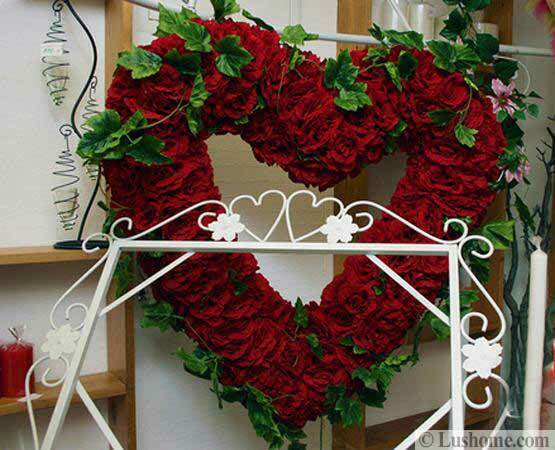 Hearts created with red roses look especially dramatic and romantic. Pink and purple colors are perfect for Valentines Day hearts also. 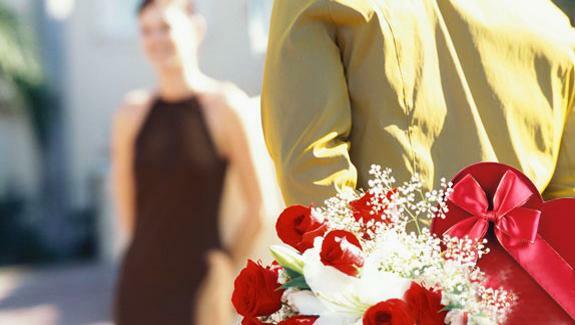 Blue roses and orange flowers can add a contemporary vibe to fresh flower arrangements and pleasantly surprise your Valentines. Carnations are fabulous for cheerful floral arrangements. 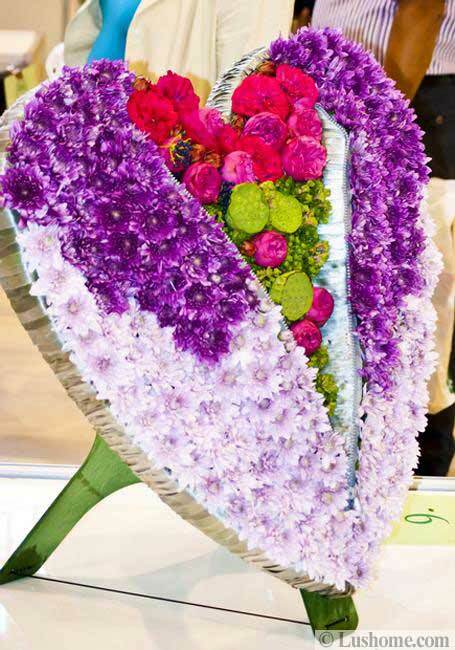 Red carnations represent admiration, while white carnations symbolize pure, sweet and innocent love. 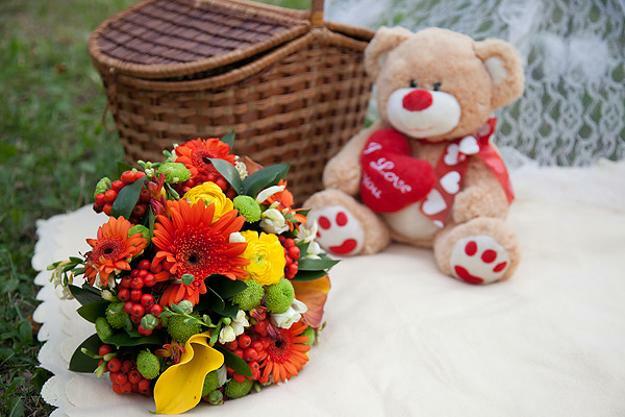 The combination of white and red flowers looks bright and festive, offering gorgeous gifts for Valentines Day or any other holiday and event. No need to limit yourself to the traditional Valentines Day colors. 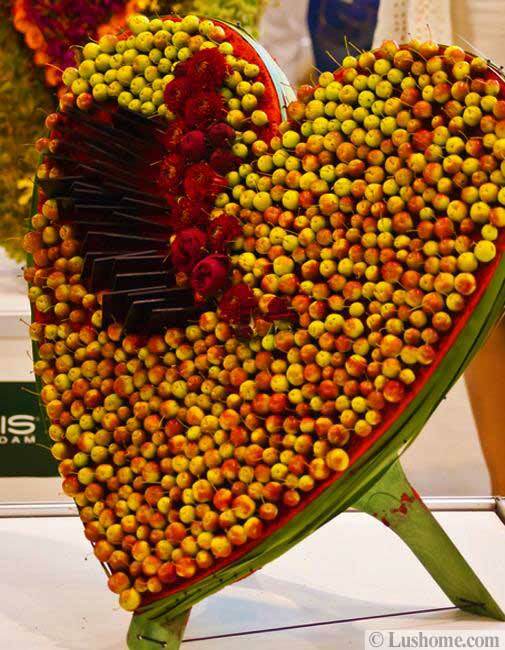 Orange and yellow flowers look beautiful with red hearts. 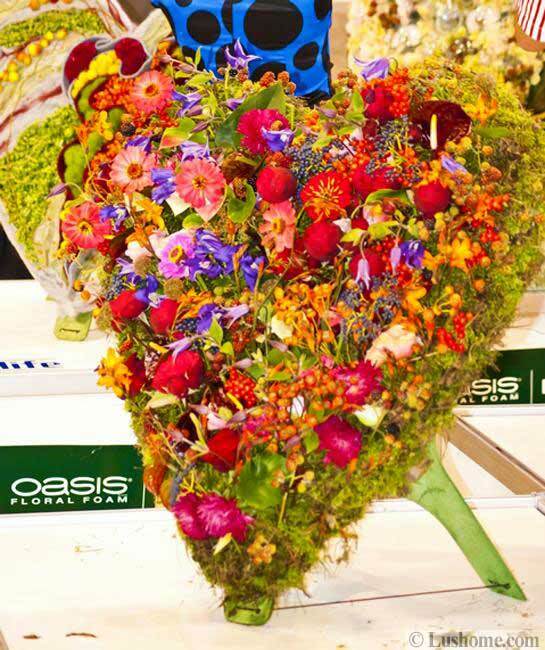 Adding green branches and beautiful, giant leaves or blue flowers just increases the surprising effect and make your floral arrangements feel truly unique and extraordinary. Pale, gentle, and soft pink and purple colors symbolize friendship and appreciation. 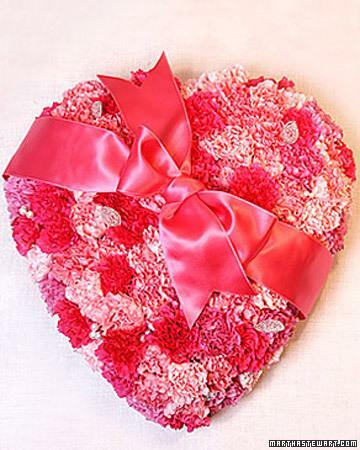 Roses, carnations, lilac and chrysanthemum flowers are spectacular flower choices for floral hearts decorations and beautiful, fragrant eco gifts.